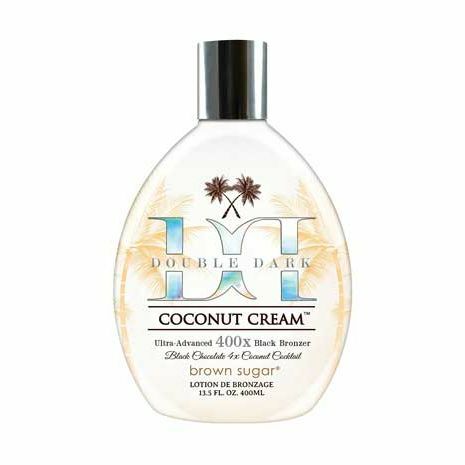 HomeNew Lotions for 2019DOUBLE DARK COCONUT CREAM 400 X by Brown Sugar -13.5 oz. 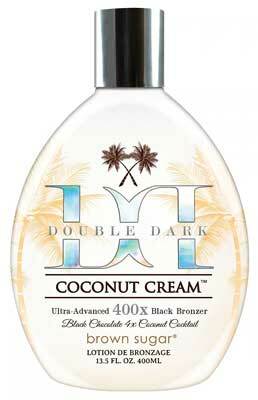 Evoke never-ending waves of color and lush coconut that can’t be ignored. This 400x bronzer is crafted in small batches with natural, intensely dark bronzing ingredients, until it is worthy of the title “Double Dark”. We then add absurd amounts of creamy coconut and dark chocolate extract for conditioning that leaves your skin in a state of complete bliss. Enjoy!